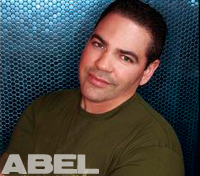 When you take a true pioneering legend of House music - Chicago’s very own Ralphi Rosario - and team him up with one of the most successful DJs in circuit history - Miami’s Abel - it becomes musical magic in the form of Rosabel. Primarily known for their remix and production work on popular tracks such as “Cha Cha Heels,” “That Sound,” "Don't You Want My Love" by Debbie Jacobs, and "The Power" featuring Jeanie Tracey, when these two come together for a rare Rosabel DJ set, the excellence produced in the studio is replicated and often times exceeded in the DJ booth. Folks on the dance floor typically exhaust the list adjectives to describe the experience that has literally trapped them there as Rosabel captains an energetic journey filled with tribal-laden progressive house music. The creativity with which Rosabel combines strong beats, soaring as well as punchy vocals, and funky rhythms provides an all-night vibe that resonates with the crowd and that can be grooved to by all. Individually, Rosario and Abel have common backgrounds as their youthful DJing hobby at house parties for friends and at school functions led to successful mix shows on the radio in their respective hometowns of Chicago and Miami. They then both turned great timing and being at the right place at the right time to their advantage. 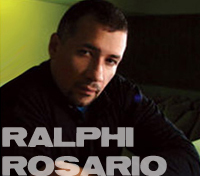 As house music began to emerge from Chicago and become a global phenomenon, Rosario produced arguably the biggest house music track of all-time, the classic “You Used To Hold Me” featuring Xavier Gold. Abel was making his own musical mark playing at the top nightclubs in Miami – Waterfront, Paragon, and Salvation – during the transformation of South Beach from a run-down sleepy retirement community to a cosmopolitan, high-flying vacation destination with an intense and flamboyant night life. The dance music credentials of Rosario and Abel, individually and together as Rosabel, are impeccable. Rosario has produced many chart-topping tracks over the years as well as several mixed compilation CDs that are considered “must haves” for serious dance music aficionados. His acumen as a DJ for the dance floor is undeniable and explains in part why he has such massive global appeal that has seen him draw huge crowds when he appears throughout Europe and North America. Abel’s reputation as a master in the DJ booth for both big events and club dates vaulted him into the thin ranks of circuit DJ super-royalty. He has been booked for almost every major party in the country as well as for gigs throughout Canada and in South America. 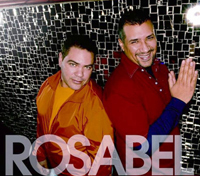 Teaming up with his good friend Rosario to create Rosabel has allowed Abel to demonstrate that he also has production and remixing prowess to boot. Interestingly, despite the international acclaim and success they have experienced on their own and together in partnership, both Rosario and Abel still remain true to their DJing souls and roots. Resident and frequent guests spots at various clubs in their hometowns allow them to gain valuable knowledge and a fresh perspective as to what makes a dance floor tick. In turn they expose new generations of grateful clubbers to their musical brilliance.